No matter what, childbirth is a life changing event. It absolutely matters where and with whom you choose to birth! We often hear birth compared to an athletic event, right?...Mind prepared, body prepared, great training and support team, great birth. Would an olympic athlete just show up to the Games with little or no preparation, trusting a coach and trainer who was the one that happened to be on call who worked for the arena? Of course not. The athlete would ask questions, make changes, and make sure she had a team lined up that supported her mission of getting the GOLD! Learning which questions to ask when seeking the best prenatal care can be daunting. Women have hundreds and hundreds of options in childbirth, so find a care provider that will support what you want while giving great, safe care! They are out there - families in DFW are tremendously blessed to have hundreds of rockstar providers to choose from who follow evidence based practices. Only YOU know what is going to lead to YOUR best birth. Here are a list of questions that can help facilitate great conversation between you and your care provider. May these help you know if they will assist you in getting your GOLD! What is the best way to contact you? How easy is it to reach you prenatally? Roughly how many births do you do weekly / monthly? Of your births, what percentage are spontaneous natural births with no (or limited) intervention? What percentage are Cesarean Sections? How many emergency C-Sections for non-medicated labors? 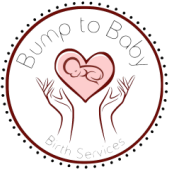 When would you like to see and discuss our care plan / birth preferences list? Who will help me at the birth? Will you catch or an on-call provider? How often can I expect to see you while I am laboring? What are your views on the evidence for laboring and birthing in the water? Can I have access to this at my birth location, or use a Birth Pool Service? What are your views on ACOG's guidelines for length of pregnancy? If there are no medical issues, how do you feel about labor beginning spontaneously? If there are no medical issues and I am feeling well, what are your views on the amount of time spent laboring? Would I ever be put on "the clock"? What tools will I have access to at the birth location? Birth ball, Peanut ball, Squatting bar, Birth stool, shower, speakers, etc? Do you support eating / drinking over routine IV fluids during the birth process? What are your views on the evidence for Intermittent Fetal Monitoring? What does intermittent look like in your practice? What percentage of your patients opt for only handheld Doppler (or even Fetoscope) for fetal monitoring? What are your views on mother directed pushing? Will you support my decision to be in pushing and birthing positions that feel right to me? What percentage of your births would you say are in the Lithotomy Position? What are your views on episiotomies? Can you describe what typically happens at your deliveries between the moment of birth and delivery of the placenta? What are your views on the evidence of delayed cord clamping? Will you offer for me or my birth partner to cut the cord? In what ways do you help facilitate bonding immediately after birth? Skin to skin, delayed newborn exam, the "golden hour", etc? Will you tell me that I have a time limit on birthing the placenta? In what ways do you help encourage the placenta to come if it becomes medically necessary? Is Pitocin routine in your practice? If I need to or choose to have a surgical birth, what are your views on the evidence for Family Centered Cesareans? A doula cannot do what a nurse does. A nurse cannot do what a doula does. When both work in harmony in an evidence based way, profound things happen. ​Q: How do Doulas feel about Nurses? ​A: Doulas LOVE nurses. Labor and Delivery nurses, Postpartum recovery nurses, Nurse Midwives... you name them, we love them! When you break it all down, a good doula has NO agenda other than helping the birthing woman empower herself and make informed choices while providing unconditional support. A good nurse has NO agenda other than assisting the birthing woman in achieving a healthy birth while providing great medical support. ​Both fully devote themselves ​to birth work, it is really incredible to witness and be a part of the teamwork. It's easy, cute, chemical-free, renewable, and downright cheap. Save the planet, lots of cash, and your sanity as you diaper your little one! Read this information sheet to learn more about why and how to participate in the growing trend of MODERN cloth diapering! Yes, cultures worldwide have practiced placentophagy, and no, it's not weird. Placenta encapsulation services have been in high demand and continue to be an amazing way to ease into the postpartum time. For more information about Encapsulation, read the informational sheet below and check out the Placenta Services page here on the website. What is Co-Sleeping? Why do families do it? Is it Safe? Co-Sleeping, Room Sharing, Bed Sharing... learn more about the benefits and dangers to different sleeping situations in the links on this information sheet as you adjust to life with a newborn. Share with expecting and new parents! Massage is the most common form of alternative therapy during pregnancy, and it plays a critical role in childbirth. Read this information sheet and share it with those you know who are expecting! Spread the word about morning sickness, and overall pregnancy nausea symptoms, by sharing this information sheet from Bump to Baby Birth Services.